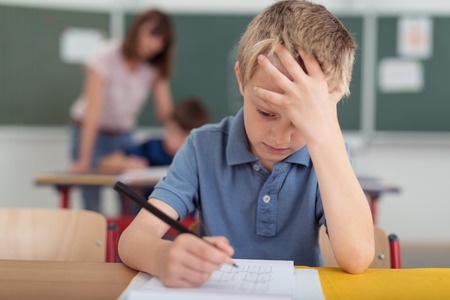 Is your child stressed? Does he or she show signs of anxiety, depression, or developing unusual behaviors? Childhood stress is more common than you might think. Research done by Stress in America™ on behalf of the American Psychological Association (APA) showed that teens ages 13 to 17, are feeling a similar amount of stress as adults. On a scale of 1 to 10, teens reported their stress levels as 5.8 during the school year (healthy is considered 3.9), and even in the summertime their levels were 4.6! Pressure from school work/exams, high demand schedules, peers/friendships, family, media, problems with boyfriends/girlfriends, and of course, social media. Tension and anxiety often comes from within too. As children grow, they are figuring out who they are and frequently feel pressure from their own thoughts as they attempt to understand how they fit into this world. Homes with marital challenges, family illness, abuse, neglect, financial worries, loss, poverty, high achievement pressures, mentally unstable family members, hunger, and/or community violence can put a lot of stress on a child. If kids hear parents, friends, family members, or even the media talk about stressful events or situations, they may take on the stress they feel. How Can You Help a Stressed Child? Spend extra time listening. Your careful, quiet listening helps a child feel heard and validated. Hold space for big emotions. This means being a compassionate, nonjudgmental witness while a child expresses him- or herself. Encourage the child to verbalize feelings, draw them, and/or move his/her body. Instead of interjecting interpretation or drawing your own conclusions, support the child’s developing ability to analyze and solve problems by reflecting what you’ve heard and asking exploratory questions. Remember, questions that only require a “yes” or “no” answer can stop conversations in their tracks. And “Why” questions can feel pointed or punitive instead of caring. Ask for thoughts about why that happened and ideas for possible solutions. Let them know you can offer help if they want it. 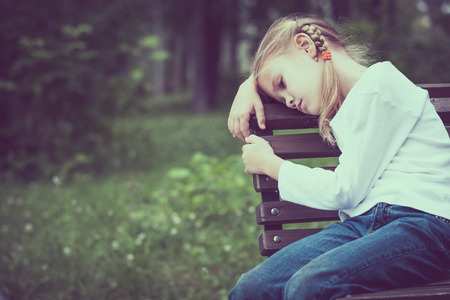 Childhood depression is different than childhood stress—although toxic or extended periods of stress and anxiety can can cause childhood depression. Depression is an extended and persistent period of sadness that does not go away. If your child is sad and their mood interferes with their daily life, it may be depression and he or she should be seen by a professional doctor and/or therapist. Remember depression in kids often goes undiagnosed because the child is seen as just being “moody” or “a typical teenager”. With the rise in suicide in children in the past 10 years, it’s better to air on the side of caution and have your child evaluated. Please take any of these signs seriously and take your child to see a doctor or therapist. For more information about types of therapists and therapies see, The Imagine Project: Powerful Tools that Help Kids Rise Above Stress and Trauma, Build Their Resilience, and Bring Positive Change into Their Lives (Yampa Valley Publishing, 2017).